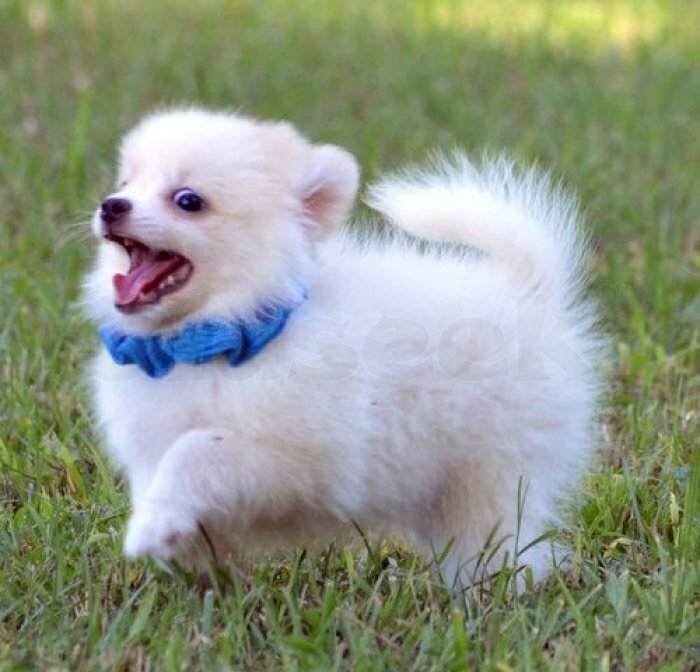 » Pure White Pomeranian Puppies. Pomeranian Puppy with nice personality was born from KC registered parents.WILL BE SMALL AND CUTE NOT FOR BREEDING. She was vet checked, has first set of shots, dewormed. She is handled daily to ensure proper socialization..email us at ([email protected]) for more details and pics.